Color golden yellow. The smell is gentle, sweet fruit. Body pretty much strong . In the mouth full and extremely aromatic. Peach, melon, sweet orange. The finsh mild-range, quite sweet and strong. Also bubbles has been climbing for a very long time from the bottom glass to the surface. Nice to watch, nice for a drink. There is also a more light version of this wine with the addition of the elder juice, very good. What else? Before I entered into the wine world, I listened to the stories about a man who produces a sparkling wines that is not in regular sale because the domestic luxurious hotels are bought in advance all over the production. Then a couple of years ago, because of the other obligations of the producer, the production of this wine was stoped. In the past year Mr. Aleksandar Stojakovic has returned to his place of the top sparkling wine producer, and we can taste this great wine . 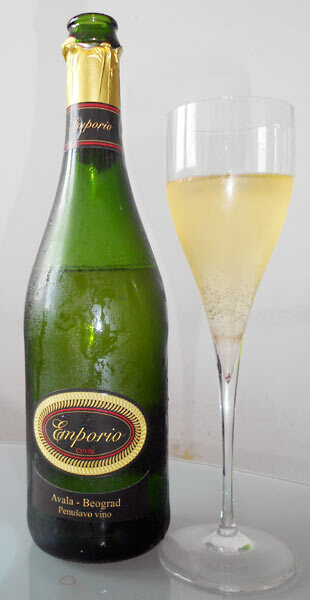 We would also like to try this wine in the dry “Brut”l version. 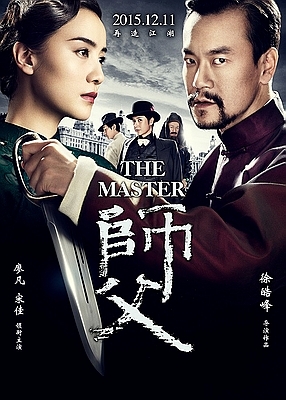 This is piece for true lovers of wu-xia movies,layered same as this wine.Also, move and wine are masterful work booth.